librarycamp: Are bringing a cake to LibraryCamp? Are bringing a cake to LibraryCamp? 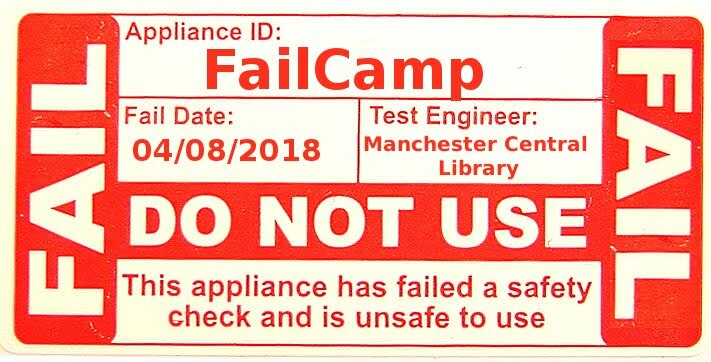 Are you bringing a cake to Librarycamp? Oooh, we hope so! Last year your cakes were amazing and plentiful! In fact there was quite a bit left over which Jen took to the Salvation Army hostel. In case we do the same this year, it would be really helpful if you could bring something with you to pack any leftovers in afterwards - a tin, box or container you don't mind giving away. It's also really handy if you can make a small label that says what your cake is and mention if it's gluten free or contains nuts - that type of thing. 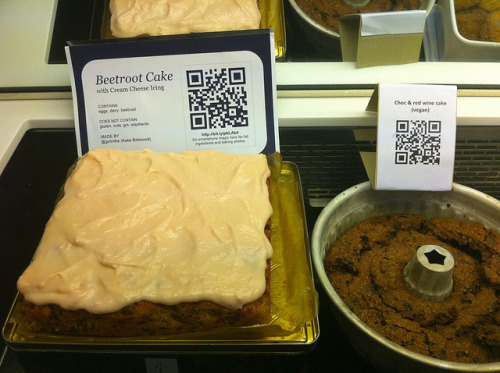 Last year some of you even printed QR Codes that linked to the actual recipes! Very impressive...but have you seen this? AUGMENTED REALITY CAKES! See you all and your splendid baking in 8 sleeps time! If my mixing experiment goes well this evening, I will be bringing some form of vegan cake. Oooh - fingers crossed for the 'experiment'! I wonder if the beetroot cake tastes good.. Well, I'm also doing a cake experiment, I hope my friends from catering suffolk will like it!